Okay, so the PC does have its fair share of combat flight simulators and the like, and although many of them offer a proper representation of flying jet fighters, they tend to be far too complicated and often quite boring. Apologies to you fans of simulators, but I tend find most of them tedious. 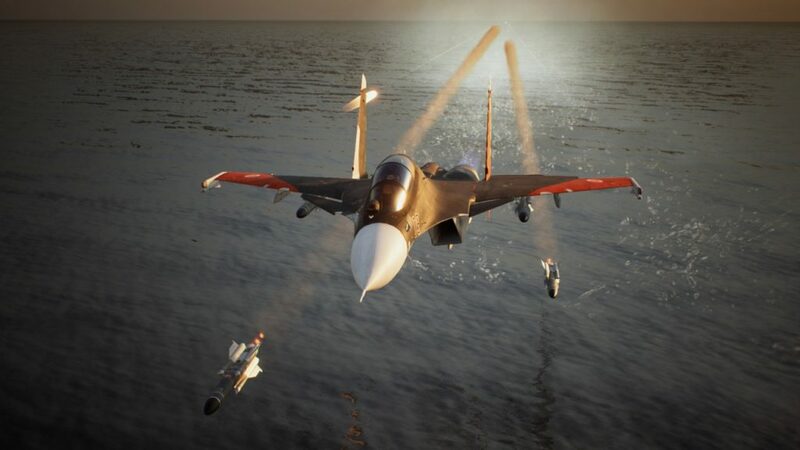 The Ace Combat games haven’t appeared much on the big grey box, with only one of them previously making its way to PC, but Bandai Namco decided that 2019 was the right time to release the latest numbered game in its flight series. It fares pretty well too, despite missing a few of the more in-depth graphics options that most native PC games tend to offer. Instead, Bandai Namco chose to streamline the options, meaning that it’s quick and easy to set things up. That said, the launch version did come with an odd issue that tied the in-game resolution choice to the desktop resolution I was using at the time. This meant that, although I was running my desktop at 1080p, the game wouldn’t let me choose that same resolution for Ace Combat 7. Thankfully, I have my PC connected to my 4K TV and so reset my desktop resolution to 3840 x 2160, which then triggered the game to unlock options all the way up to 4K. There’s no way my PC could run the game in 4K however (neither can the Xbox One X or PS4 Pro, as I’m writing this), but it did run extremely smoothly at 1080p with all the textures and effects turned up to high. As with the console versions, it was buttery smooth at 60 frames-per-second, only it looked even better. To be fair to all versions of Ace Combat 7, it’s a handsome game however you play it. Flying through clouds sees water droplets pelting the camera and obscures anything beyond, but breaking through the top and heading out above the cloud line is a sight to behold. Things are just as spectacular when flying low to the ground too, weaving in and out of dusty canyons and over treetops as you ignore the incessant droning of, “pull up,” from your on-board flight computer. Everything in Project Aces’ game is gorgeously detailed. One of the best ways to enjoy all the little details is during the post-mission replays. 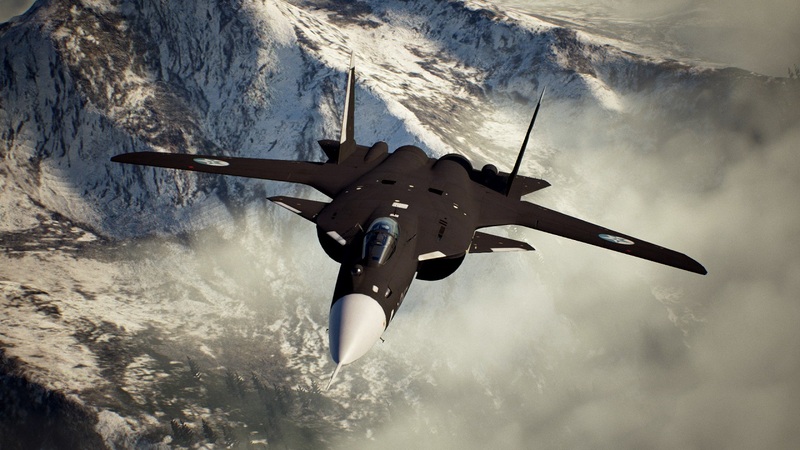 Much like your Forzas and your Gran Turismos, Ace Combat 7 actually allows you to watch your whole mission back after every sortie, and it’s very much like watching a mini-movie each and every time. You can change camera angles and hit the slow motion button for when you really want to savour every second of that intense dogfight, or that time you narrowly missed an outcrop while weaving through canyons. And yes, on PC it does look better if you have all the settings turned up. Whether you like having a huge list of graphics options or not, I don’t think anyone could argue that this is anything other than an excellent port of an already damn fine game. 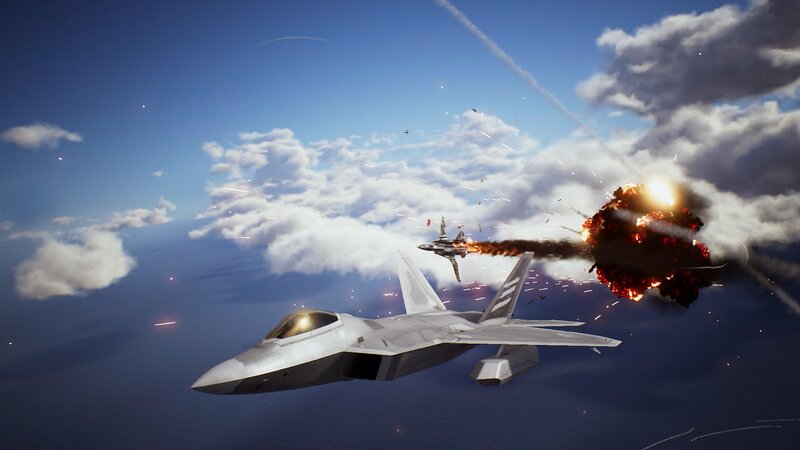 Sure, it could do with one or two extra options exclusive to PC gaming, such as ultra-wide support for multiple monitors, and perhaps the addition of those currently-PSVR-only missions for owners of Oculus Rift or HTC Vive headsets (other VR headsets are available, as they say on TV), but otherwise Ace Combat 7 on PC is the ultimate version of a fantastic game.